Apex Legends is already a smash hit. 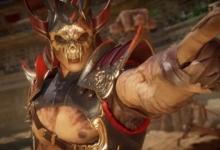 The game has garnered more than 10 million fans in less than a week — making it a tried and true competitor in the cutthroat battle royale genre. But that many players also means a lot more competition. You’ll need the rundown of every class to play with and against them effectively. This time we’re zeroing in on Apex Legends Lifeline class. Our Apex Legends class guides are here to help! Lifeline is the one true support class in the game at launch and a fantastic choice to complement just about any squad. 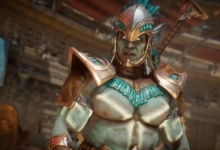 New players should feel at home picking up this healer, while highly skilled veterans will no doubt put her universally useful skills to good use at higher levels. 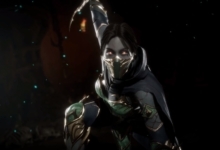 So let’s dive right into her backstory, abilities, strengths, and weaknesses, shall we? Ajay Che, a.k.a. Lifeline, is an odd duck among the other Apex Games contestants. She’s the daughter of wealthy war profiteers, but gave up her claim to the fortune once she realized just how villainous her family really was. At that point she joined a humanitarian organization and became a sort of space doctor — helping those in need across the stars. You’d think that would make Lifeline a bad fit to compete in a bloodsport. But all of Ajay’s winnings go to support the relief organization she works for. Meanwhile, she knows that everyone else in Apex Legends either deserves what they get, or knows what they signed up for. Sometimes helping people requires getting your hands dirty, which also pretty much sums up the Lifeline playstyle. Apex Legends‘ Lifeline lives up to her class name. All of her skills are meant to support her allies, with zero direct offensive capabilities. That doesn’t make her weak, though. She can shoot with the best of them. And Lifeline’s ability to stay (as well as keep allies) in the fight longer than most other classes make her a fantastic pick in Apex Legends. Just about any team benefits from her healing skills. Passive Ability: Combat Medic – This one is very versatile, if pretty straightforward. But anyone that’s ever revived an ally mid-firefight will know just how important it can be. 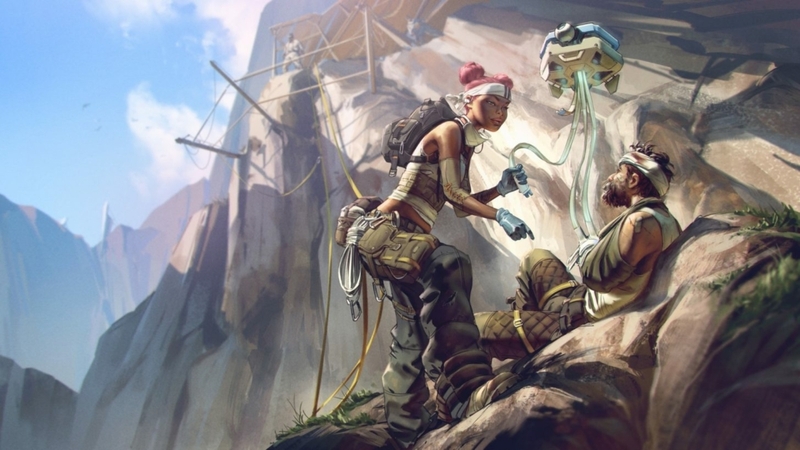 Lifeline will resurrected downed teammates faster than any other character in Apex Legends. More than that, she’ll put down a defensive shield in front of her when she does so. If that weren’t enough, Lifeline also uses basic healing items 25 percent faster than other classes. Tactical Ability: D.O.C. Heal Drone – The aptly named “Drone of Compassion” is Lifeline’s signature ability. It’s free healing! Specifically, Lifeline will call out a drone that heals herself and nearby allies over time. Just remember: the effect is slow, only activates in a very small radius, and the drone itself can be shot. Still: freeing up inventory slots with infinite healing — that lets you keep shooting no less — is an absolute game-changer. 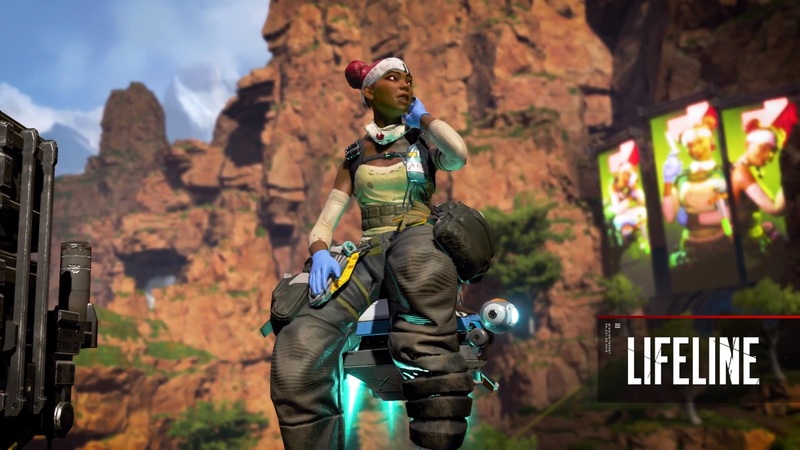 The ultimate Lifeline ability in Apex Legends, Care Package, is a doozy. After you power her up, Lifeline will call in a supply drop of “high-quality defensive gear.” That means things like mods and Knockdown Shields. Sorry, but there are no guns in this humanitarian airdrop. Although there’s a good chance the gear will be better quality than anything else you find in the field. Once again, Lifeline shows that she lacks direct offensive power. Other Apex Legends characters get to drop airstrikes and poison clouds — not helmets. But don’t let that fool you. “Defensive gear” is pretty broad in this case, since it can include attachments that make you and your allies more powerful in a fight. Less recoil, better scopes, and more can make all the difference in a firefight. Not to mention, better shields is never a bad thing. 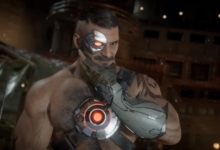 Strengths: Lifeline is the only direct healer in Apex Legends. That makes her an absolute godsend between and during battles, since she can raise her teammates to full health and keep them in the fight longer. Care Package also removes some of the RNG from picking up and spreading defensive gear between teammates. When played well, Lifeline should keep the whole team healthy and well-equipped. 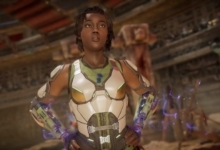 Weaknesses: While Lifeline doesn’t lose anything compared to offense-oriented Apex Legends classes, she doesn’t gain anything either. That means it’s often best to give your most powerful weapons to other teammates — leaving Lifeline in the lurch if you’re not incredibly lucky. Speaking of luck, Care Package demands it. Her ultimate can be downright useless if you’re already flooded with good defensive item drops. Keep your Heal Drone out of reach and out of sight. Lifeline’s Heal Drone needs time to do its job. Your enemies know this, too, and will open fire on the poor guy without hesitation. Try to deploy it in fairly safe areas and around corners. It’s also fantastic during long-range shootouts. Your enemy will either lose to attrition or have to choose between shooting the drone and shooting you/your sniper. That should give your squad the extra time to blow the foe away instead. Use Care Package immediately. Sure, the slow-moving orbital drop will attract enemies’ attention. But the early stages of a match are usually pretty tame (unless your jumpmaster decided to get really spicy). So grabbing high-quality shields, helmets, and mods ASAP is often safer than saving it. Then there’s the loot curve. The longer a match drags on, the greater the chances that your enemies will loot high-level gear of their own from the world. Negate that advantage by out-tanking them early! Physician, heal thyself. Infinite access to the D.O.C. Heal Drone means you should never be at less than full health (between fights, anyway). The bot can also heal more than one player at a time, so don’t be afraid to spam the skill to stitch up even the tiniest scratches. Keeping yourself alive means you’ll be around to revive allies faster with that nifty passive ability.